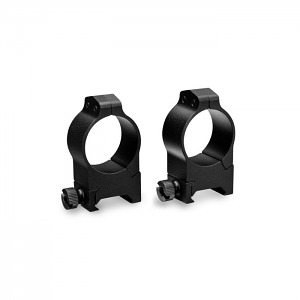 Vortex Optics Viper 30mm Riflescope Rings. Medium Height (.97 inches). Precision CNC machined from high strength 6061-T6 aluminum alloy, the Viper rings use four Torx style socket cap screws for secure mounting of your riflescope and a square-edged crossbolt ensures positive engagement of ring to base.